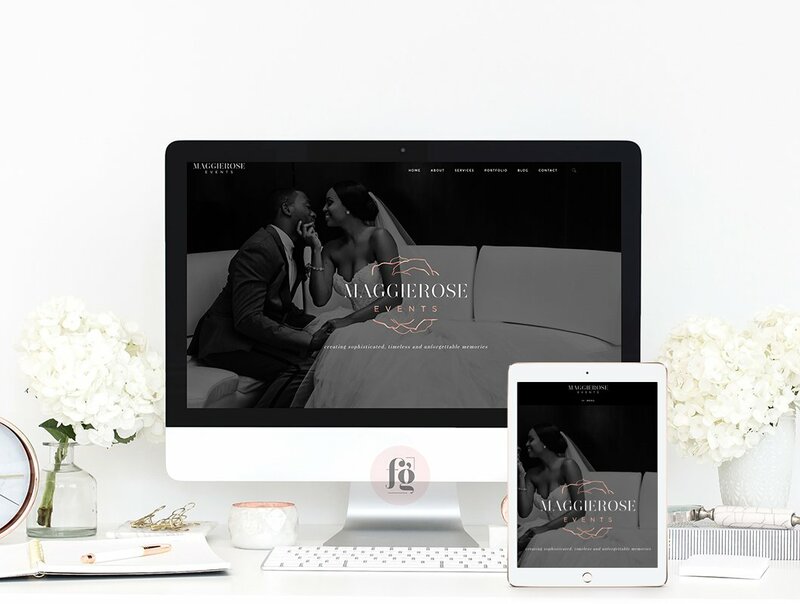 One of the most stylish brand identities I have ever designed is for MaggieRose Events. 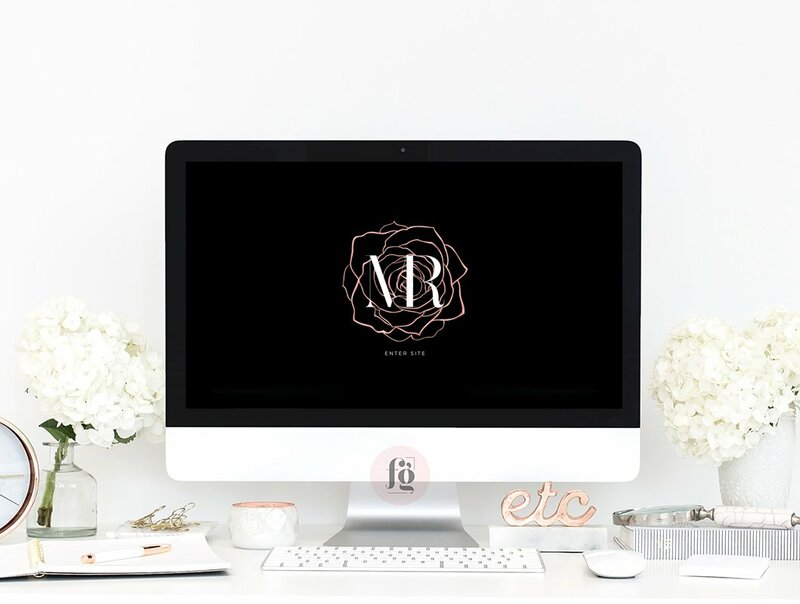 Nicole, the owner of the company, wanted a luxurious, modern, and chic logo design to capture the essence of her business. 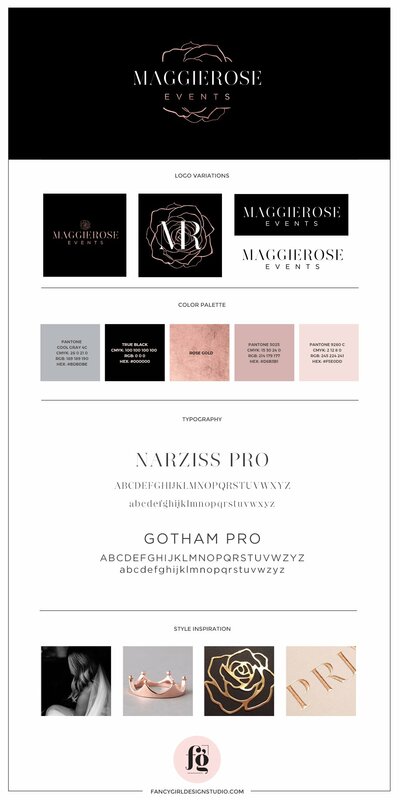 She already had a clear vision for it, so it was easy to nail down the design direction: a palette of rose gold, black, and white, and a hand-drawn rose icon paired with a high contrast, luxurious serif. 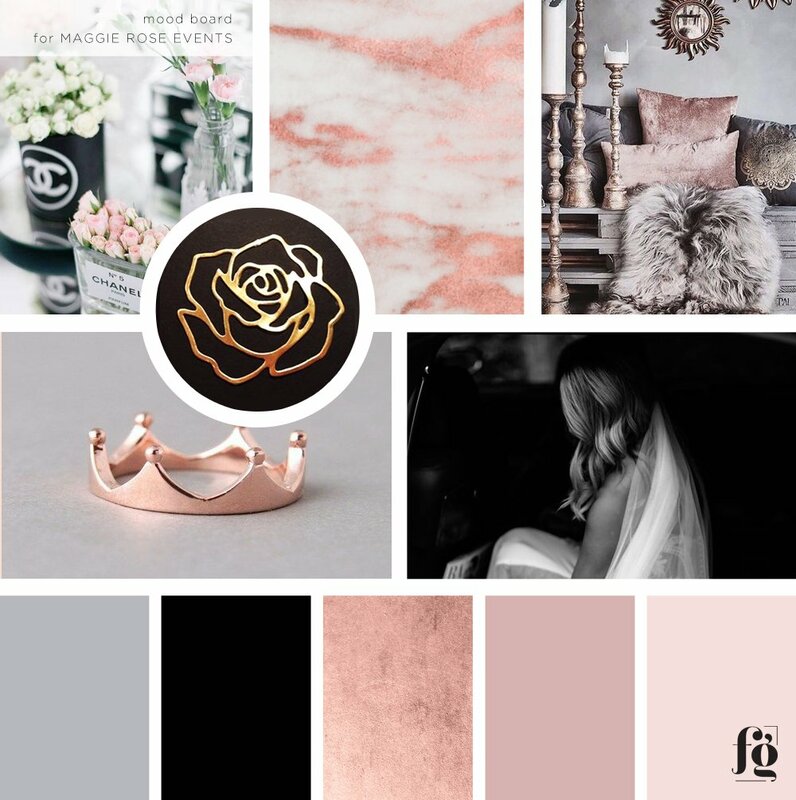 The color palette is very sophisticated but feminine. We explored several sketches of the rose icon, and a few options for the typography. She already had a previous logo that she initially wanted to keep, but we ended up creating an entirely new brand identity design altogether. I loved her font choices! 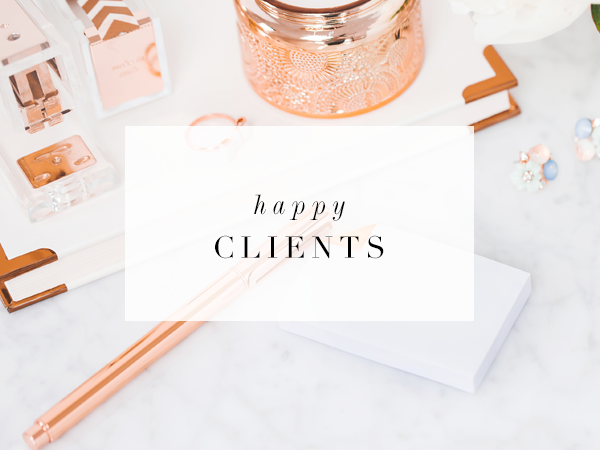 She wanted to do away with any calligraphic or script fonts because so many other event planners have them in their logo. 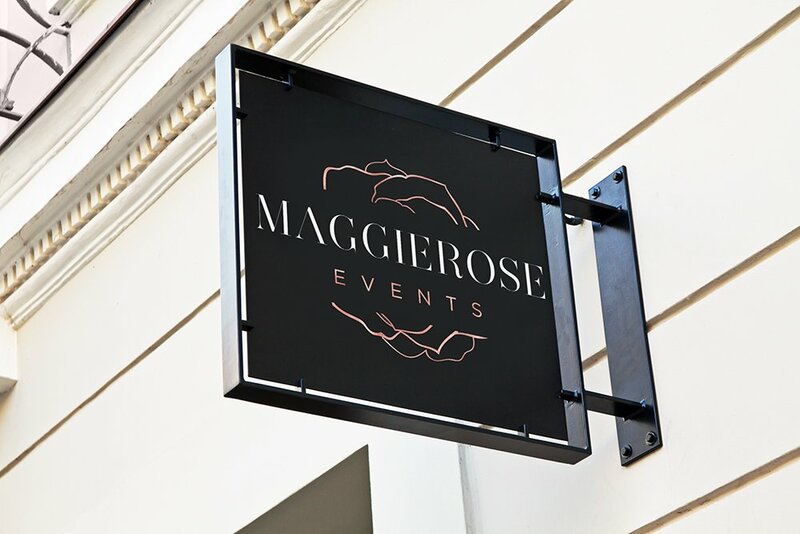 In the end, I designed a custom wordmark for MaggieRose Events to get the style just right. The main logo versions will always have a black background. That’s part of the identity of MaggieRose Events. I also included workmark-only versions of the logo – by itself it has a very modern, luxurious vibe and can stand on its own even without the rose gold texture. Nicole wanted the website to convey creativity, quality, and high end luxury. We did this by keeping all colors and images consistent with the brand, and by the ample use of white space. Copy is kept to a minimum – just the essentials. 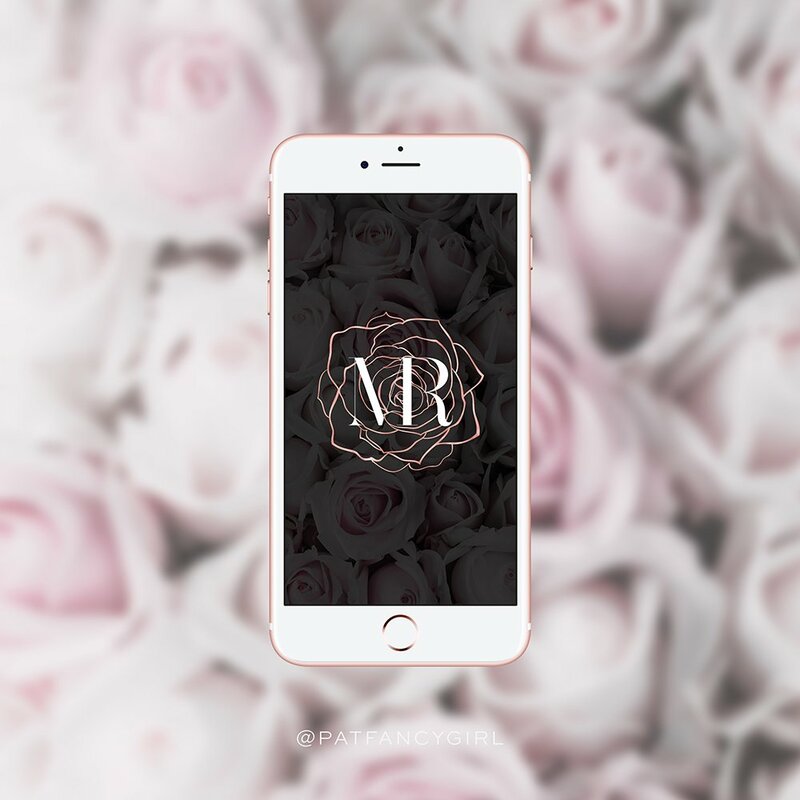 One of Nicole’s requirements was a splash page that showed the rose, the monogram, and a link to the main page fading in one by one, on a black background. Click on the image below to see it in action. It looks absolutely gorgeous, if I may say so myself. The main homepage has a simple header area that’s easy to navigate, with a hero banner in black and white overlayed with the primary logo and her tagline. Scroll down further and you’ll see three boxes (also in black and white) with links to the main inner pages. 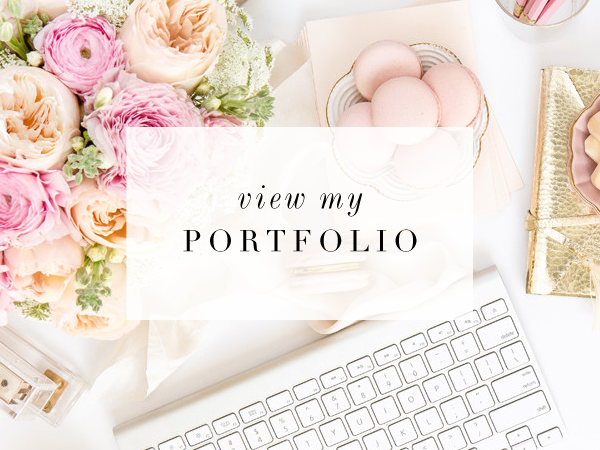 The client didn’t have a huge portfolio, but the whatever images she had were perfect for her brand. 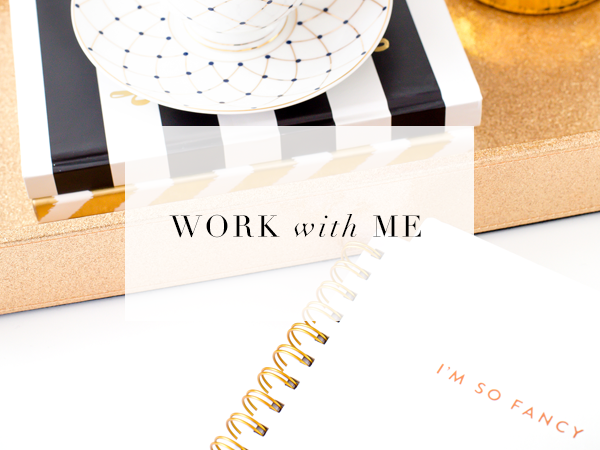 Luxurious, creative, and stylish. The website is mobile-optimized and I made sure site visitors would be able to navigate it without any difficulty. Like my other custom WordPress themes, it’s built on the Genesis Framework, hands down the most powerful platform ever made.